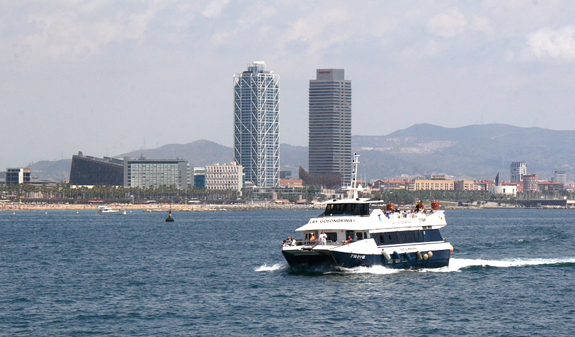 Come on board one of our motorised pleasure boats and enjoy a unique, and fascinating trip along Barcelona's coastline. 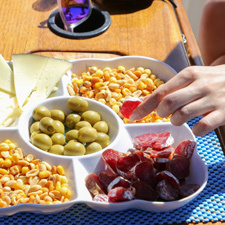 Relax with a glass of wine and enjoy the landscape on one of Barcelona's iconic 'Golondrinas'. 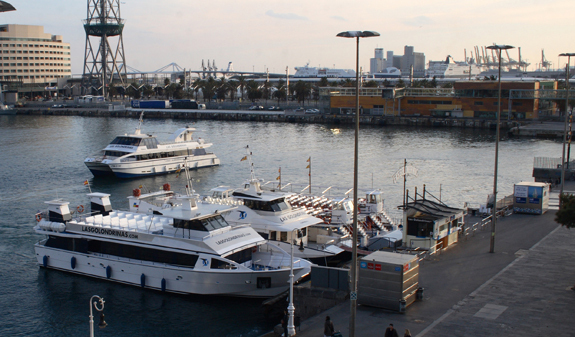 A trip on one of Barcelona's iconic pleasure boats, the Golondrinas, is one of the most authentic visitor experiences. 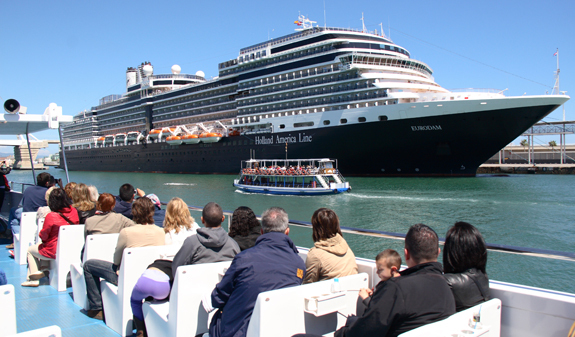 You'll have a lot of fun as you sail out of the old harbour, the Port Vell and along the Barcelona coastline, and enjoy unusual, attractive views with a Mediterranean flavour with the sea breeze in your hair. Climb aboard this iconic boat! 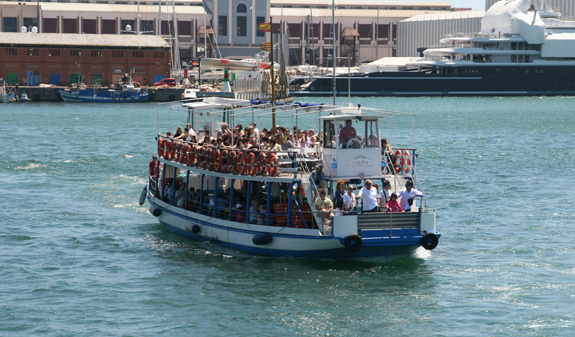 The Golondrinas offer you two unique trips from the Port Vell. 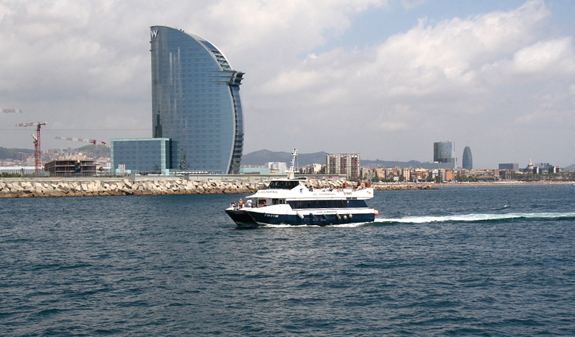 The first, Barcelona Port, is a 40-minute tour which will take you to Barcelona harbour where you'll see its facilities and enjoy views of the north of the city. Soak up the sun's rays and let the breeze caress you as you watch the World Trade Center, the Porta d'Europa bridge, the International Cruise Terminal, the Llevant and Ponent quays, the leisure marina Nova Bocana, the fishing port and clock tower pass by. 40-minute or 1h 30 min, trip on a motorised catamaran. 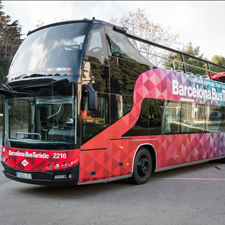 Barcelona Port 40 minuts: daily. January and February: 12.15pm and 1.15pm. March: 12.15pm, 1.15pm and 3.15pm. April, May and June: 12.15pm, 1.15pm, 3.15pm, 4.15pm and 5.15pm. July, August and September: every 30 minutes from 11.15am to 7.15pm. October: 12.15pm, 1.15pm and 3.15pm. November and December: 12.15pm and 1.15pm. Barcelona Mar 1 hour and 30 minuts: daily. January, February and March: 12.30pm and public holidays 12.30pm and 5.30pm. April, May and June: 12.30pm, 1.30pm, 3.30pm, 4.30pm and 5.30pm. July, August and September: 12.30pm, 1.30pm, 3.30pm, 4.30pm, 5.30pm and 6.30pm. 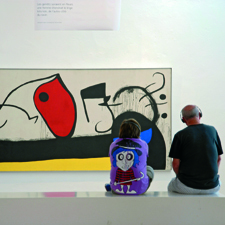 October, November and December: 12.30pm and public holidays 12.30pm and 3.30h. Closed: 1 and 6/1, 25 and 26/12. Meeting point: Portal de la Pau, s/n. 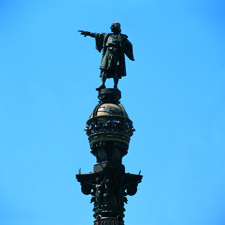 Moll de Drassanes (opposite the Columbus Monument). Metro: L3 Drassanes.